Mary Robinette is one of the hosts of the Hugo-award-winning podcast Writing Excuses. Listen to her talk about writing, her process, and her advice here. If you are interested in her process, taking monthly writing classes, or just want to support her in her creative endeavors, find Mary Robinette on Drip and Patreon. Opinion: If space is the future, that future needs to include everyone. Space.com: A Mars Journey Before Computers? The Lady Astronaut novels, punchcard punk, international collaboration, writing toward a hopeful future, mental health, writing in history. The Lady Astronaut novels, having a true vision, Hidden Figures, current projects. 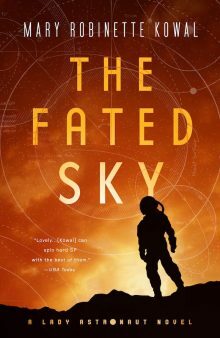 How Mary Robinette choses what historical period to write in, how to be fearless, make an outline work for you, writing in different mediums, favorite puppet personas (with voices), what a rocket launch is like.